Using GU during your regular workouts will keep your mind alert and active, and your muscles going strong. GU gives the most concentrated form of immediate energy with no stomach bulk or distress. It is quickly and efficiently absorbed, and will maintain your blood sugar at the optimal level for a great workout start to finish. 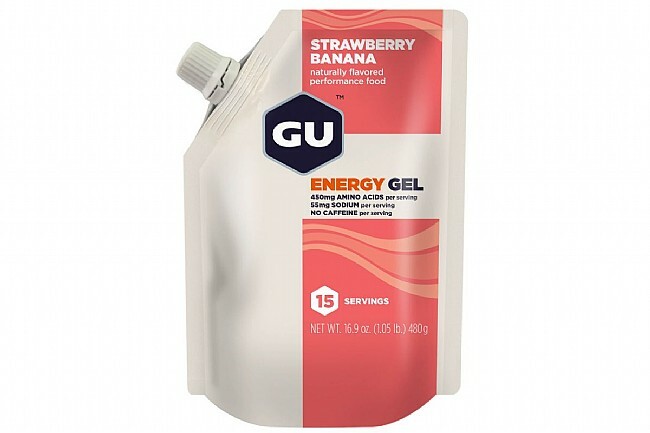 This 15-serving pouch is designed for use with GU's Gel Flask to add convenience and reduce waste on long rides. During a workout or race, no matter what type, you need to quickly absorb carbohydrate-based calories to replace the glucose you are burning at 400 - 600 per hour or you will begin to lose concentration and energy. The fat, fiber and protein found in bars are very slow to absorb and create unwanted bulk in the stomach. GU is created for the body during exercise and, because of its form and ingredients, is absorbed much faster than a bar so you will feel the energy almost immediately. By simply adding GU to your normal workout routine - one serving 15 minutes before starting then another every 45 minutes or so - you will feel strong and energized, be able to maintain your effort throughout the workout, feel better when you finish, and recover quickly for your next workout. 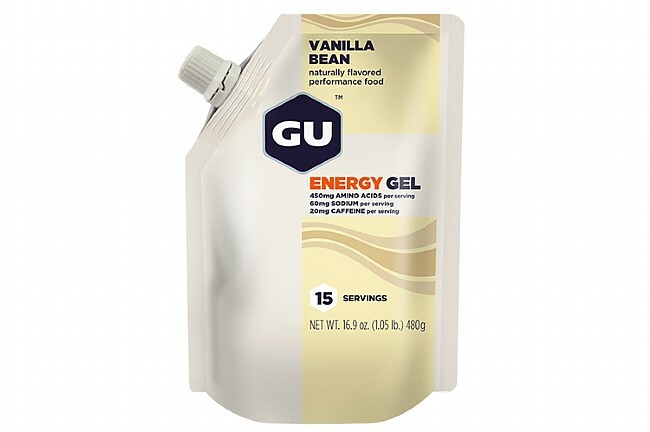 If you want to have a good workout you have to supply your body with the right fuel - GU Energy Gel.